It'll make & keep you sick! Women's Health and Progesterone What few doctors know but every women should understand about their health & natural progesterone. Over 60 pages! The AIM Products BarleyLife, green leaves of barley, Herbal Fiberblend and Renewed Balance Natural Progesterone, are just a few of the outstanding AIM products we offer. These are products that give you results or your money back! Available direct with volume discounts. View Products or Order Now. Jesus the Healer Many know Jesus as saviour. We would like you to know him as saviour and healer. Forgiveness, salvation and healing go hand in hand. Learn the truth and Don't Miss Out ! The Hallelujah Diet is the simplest and best way of getting high quality nutrition to the cell level promoting the bodies God given ability to heal and restore. 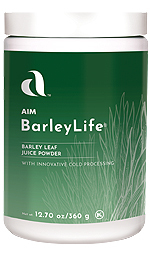 Announcing BarleyLife New advancements in quality and freshness are yielding the best barley juice powder yet. More chlorophyll, higher antioxidants, and better tasting! Green Barley Juice Revolution Why Dennis Itami & Ron Wright took barley juice powder to the next level. 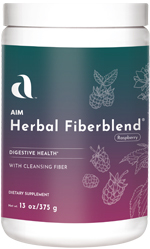 Herbal Fiberblend - Time Tested Colon Cleansing This product has been working wonders since 1988. A colon health product that works or your money back. Renewed Balance Body Cream - Excellent results since 1996, highly recommended, highly appreciated. Abortion - Does it Matter? Legal Disclaimer The nutritional and health information contained in this web site is for informational purposes only. We do not offer medical advice or prescribe the use of diet as a method of treatment for sickness or disease. Because there is always some risk when changing diet or lifestyle we are not responsible for any adverse effects or consequences that might result. Do not apply any information given here if you are not willing to assume the risk yourself. If you use this information without the approval of a health professional you are prescribing for yourself, which is your constitutional right. We do not assume any responsibility for your decision.